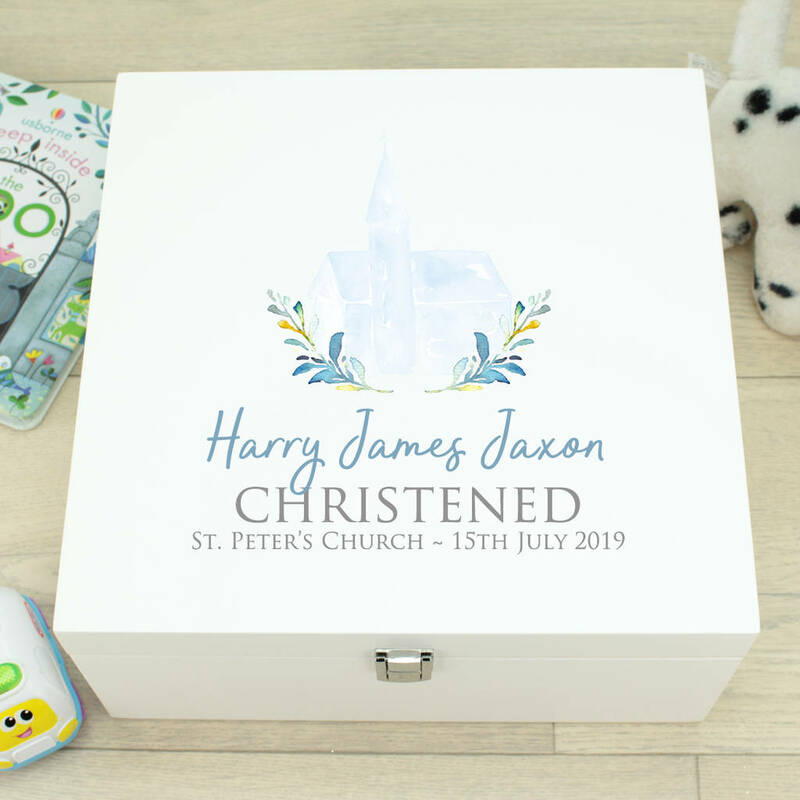 A contemporary white wooden memory box with a delicate watercolour church design, personalised with the child's name and Christening details. If you are looking for an extra special Christening gift then these keepsake boxes are sure to be cherished and filled with momentos from the day. 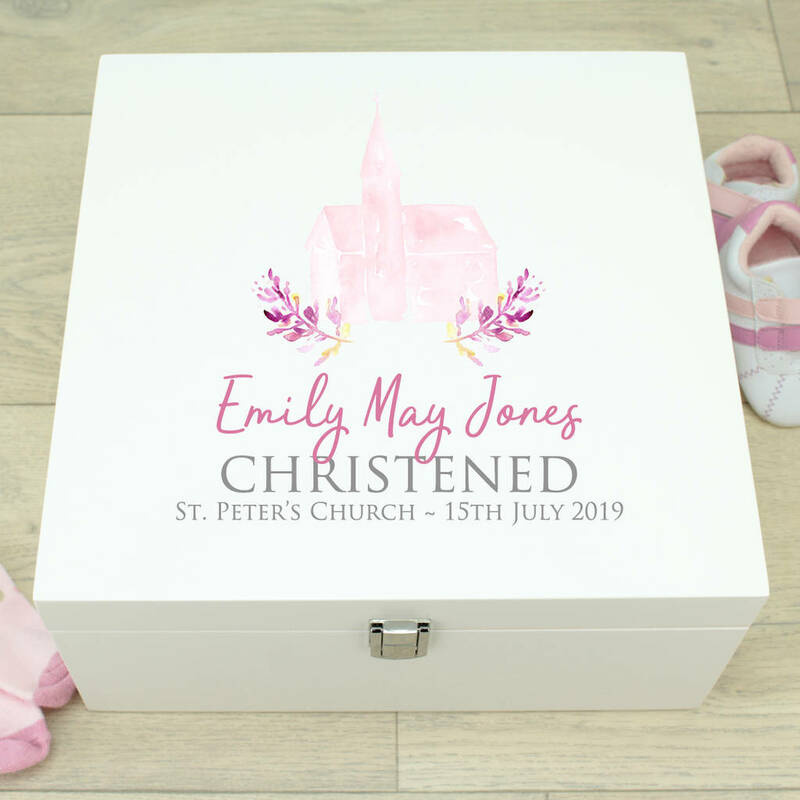 Perfect to fill with the Christening outfit, copy of the service, candle or anything that you can cram in! 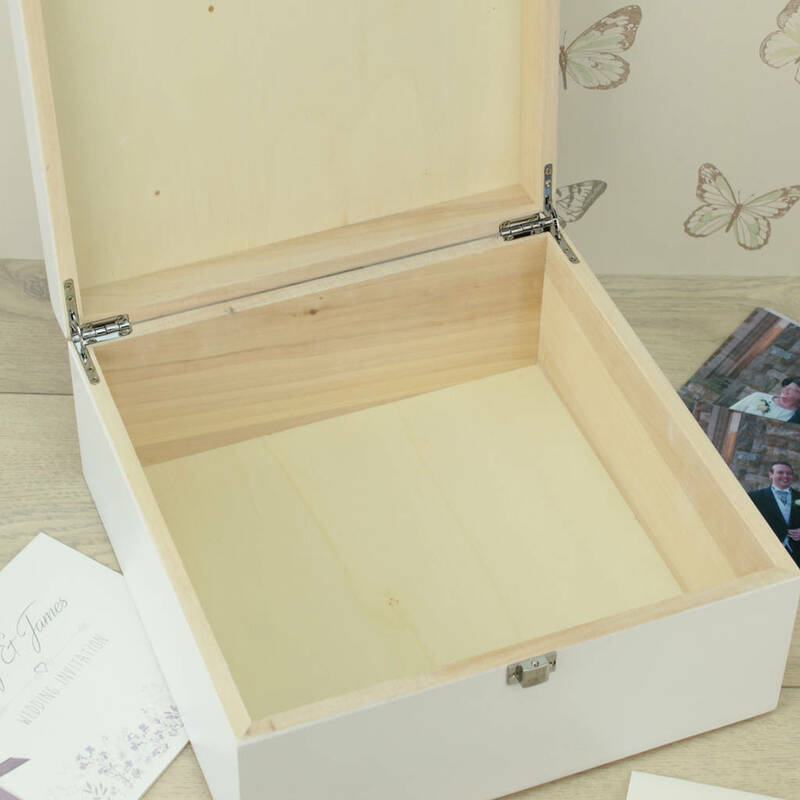 Made from a white coated wood with your details printed directly onto the lid using the latest printing technology. The inside of the box has a natural wood finish. Due to the nature of the wood, there may be some colour variation to the grain. 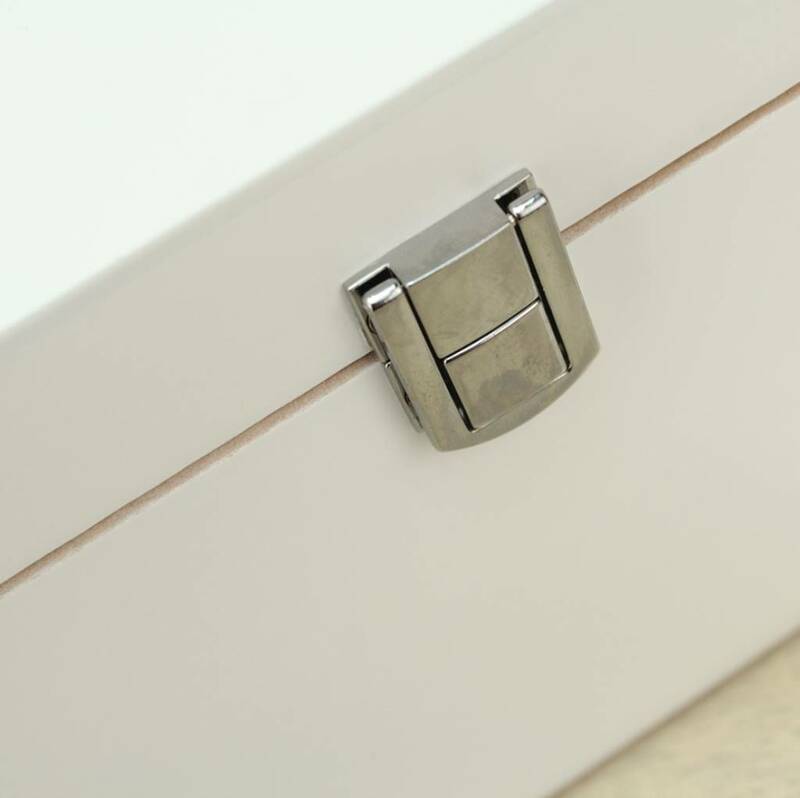 The boxes have beautiful chrome plated metal hinges and clasp to hold shut ensuring they last for years.